1970 DVD Gift Card. 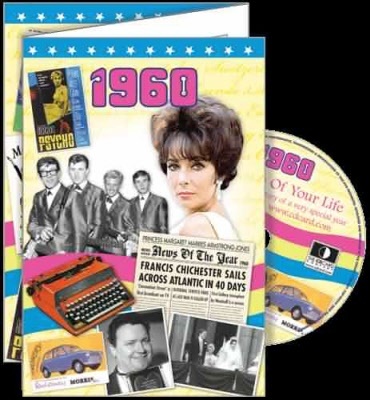 This deluxe dual fold greeting card includes images and events from 1970 and comes complete with a full length DVD programme. The exclusive DVD features a retrospective look at original footage gathered from the vaults of some of the world’s leading news organisations. Take a trip back in time and experience the lifestyle, the personalities and the news stories that changed the World. See the past come to life with this card and gift in one, ideal to give anyone for whom 1970 was a special year.